Can an Employer Force You to Work Overtime? Employees often wonder if they have to say “yes” when they are asked to work overtime. What happens if you have other commitments or don’t want to work the extra hours? There are some exceptions, but you may not have the option to opt out. Can Your Employer Make You Work Overtime? There are no federal laws prohibiting employers from mandatory overtime except for workers under 16 years old and in a few safety-sensitive occupations. In general, if your employer asks you to work overtime including extended shifts or weekend hours, you will be required to do so unless you are covered by a collective bargaining agreement or another employment contract that stipulates any limitations on the overtime hours you are required to work. The Fair Labor Standards Act requires employers to pay time and a half to any non-exempt employees who work more than 40 hours in a week. Employers are not required to pay overtime to exempt employees. Classification of employees as exempt or non-exempt is a complicated process. Many employers, especially smaller employers without adequate human resource staffing, inadvertently or intentionally fail to categorize employees accurately. If you have questions about your employer’s compliance, carefully review theDepartment of Labor regulations. Eighteen states limit how many hours some employees can work, including Alaska, California, Connecticut, Illinois, Maine, Maryland, Massachusetts, Minnesota, Missouri, New Jersey, New Hampshire, New York, Oregon, Pennsylvania, Rhode Island, Texas, Washington, and West Virginia. Restrictions typically apply to some health care workers with a primary focus on nursing personnel. Consult your State Department of Labor to investigate any laws that might impact your occupation. Federal regulations restrict the number of hours that can be worked in safety-sensitive occupations, like pilots, truckers, and nuclear power plant staff as well as certain railroad and marine personnel. Employers with workers protected by the Americans with Disabilities Act may be required to limit an employee’s overtime to reasonably accommodate a disability. Some unions or individuals will negotiate collective bargaining agreements or employment contracts that prohibit employers from requiring overtime. Some employers have enacted policies that place restrictions on the amount of overtime that is permissible. In those cases, workers can take up the issue with supervisors or human resources representatives and request clarification of the policy. Highly valued employees may be able to negotiate arrangements with their employer to avoid working overtime. You might consider asking to discuss your situation with supervisors in a confidential setting and cite any legitimate concerns, like eldercare or childcare responsibilities, or health concerns that make it difficult for you to work extra hours. Of course, co-workers may express some resentment toward you if a special exception is made. 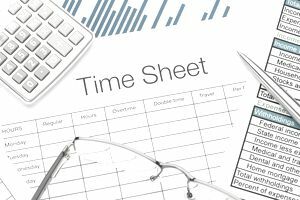 Some employers require overtime only during peak seasons when worker productivity must be maximized. In other cases, organizations increase overtime when there is a shortage of workers during expansion or unanticipated upswing in the company's business. If you are new to the employer, ask veteran employees about the regular cycles for overtime so that you don't make too big an issue out of a transitory phenomenon. If you are concerned about the number of overtime hours required in a prospective job, make an effort to investigate practices at that employer prior to finalizing an employment agreement. The ideal time to do so will usually be after you have made your case and an offer has been made. Speak with potential colleagues and inquire about the number of hours that they typically worked and their perception of management’s expectations. Ask your prospective supervisor about their expectations. Review any company policies through human resources.